This predominantly spiritual movement started in America in the late 19th Century. It attracted an eclectic group of religious and non-religious members, authors, philosophers and those with metaphysical beliefs. A hundred years ago, the members of the New Thought Movement believed in the power of positive thoughts, creative visualization, the laws of attraction and personal power. Do those ideas sound familiar? This gloriously named philosopher was the earliest follower of New Thought. He also practiced mesmerism (today’s hypnotism) and healing. He was also an inventor. Quimby thought that illness was caused by believing in the ‘wrong’ things. He argued that if a person held their mind open to the wisdom of God, then any illness would be overcome. He called this the ‘mental healing movement’. Wattles had used mental strategies that he learned from Quimby to overcome illness and feelings of physical discomfort. Wattles called Quimby’s mental strategies ‘a certain way of thinking’. As word spread about the power of the mind to heal, people began to wonder if this ‘certain way’ of thinking could have other powers. Wattles began to apply the mental healing strategies to financial situations in the hopes of achieving material comfort as well as physical. ‘The Science Of Getting Rich’ is a book that was written by Wallace D. Wattles and published in 1910. Wattles, a former Methodist, deliberately used the word ‘science’ in the title of the book to show his secular (non religious) approach to the mental strategies originated by Quimby. Wattles also wrote two other ‘Science of…’ books: ‘The Science of Being Well’ (also published in 1910) and ‘The Science of Being Great’ (published in 1911). These three were obviously intended to be a ‘self-help’ set as they were originally published in matching bindings for the discerning thinkers’ library shelves. 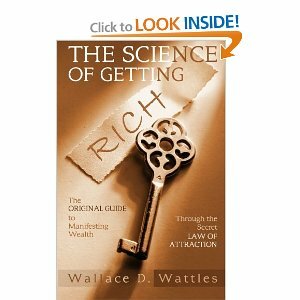 ‘The Science of Getting Rich’ features chapter titles such as “How to Use the Will” and “Further Use of the Will”, in line with Wattle’s ‘certain way of thinking”. This book spawned similar works by peers of Wattles, such as ‘The Master Key System’ by Charles F. Haanel (published in 1912), ‘Think and Grow Rich’ by Napoleon Hill (published in 1937) and works by a Methodist minister called Frank Channing Haddock – ‘Power of Will’, ‘Power for Success’ and ‘Mastery of Self for Wealth Power Success’. The Ankerberg Theological Institute criticizes the book for being centered on the individual instead of God. The Institute claims that this striving for personal wealth ignores passages in the Bible that are against that way of thinking. The Institute has a free pdf book called ‘Exposing the Secret’ available for download from their site. Current followers of the ‘New Thought’ movement contend that everyone is a spiritual being and that God is a supreme, everlasting, infinite intelligence. They say that “the highest spiritual principle (is) loving one another unconditionally…and teaching and healing one another”, and that “our mental states are carried forward into manifestation and become our experience in daily living”. Advocates of the book say that its’ theme was misunderstood. They claim that it helps people to reach full personal development – not just wealth – and that it brings a better understanding of how our spiritual wealth fits into God’s plan. Why is the book in the news again now? 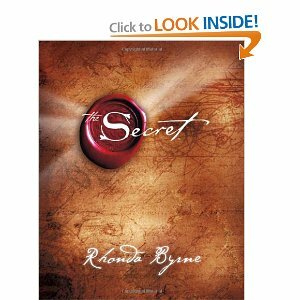 Rhonda Byrne claimed on Oprah Winfrey’s website that it was ‘The Science of Getting Rich’ that inspired her film and book – both called ‘The Secret’. She is an Australian television producer and writer. She made a film called ‘The Secret’ in 2006, for Prime Time Productions. The film contains interviews regarding the power of positive thinking and is available on DVD . The following year, she wrote a book of the same title, based on the film. The book sold half a million copies in its’ first six months and has now sold several million. The DVD has also sold in millions. In 2007, Time Magazine included Byrne in its’ list of ‘100 people who shape the world’. The book and film have been featured on the Oprah Winfrey Show, the Ellen show and on Larry King. You can watch Oprah talking to Larry King about ‘The Secret’ here. It has also, inevitably, attracted negative press. Try a Google search of criticism of the secret and you’ll see what we mean. The book is available in hardcover (198 pages) and has attracted an amazing 2,490 comments by Amazon.com reviewers It’s also available from Amazon as an Audiobook CD (used and new). …is nothing new as we have seen. In these difficult times, thinking positively can do no harm and it has obviously helped a lot of people. Why not buy the ‘The Science of Getting Rich’ and / or ‘The Secret’ and see if positive thought can help you? The Law of Attraction, that we all attract everything that ever happens to us in our lives, good or bad, simply by thinking about it. In essence, in my opinion, it states that things happen on account of wishful thinking or because of unguarded thought. It seems to me that this doesn’t take into account all the other forces that are interacting with each and every one of us in this physical realm.